Religion has always been about effective communication to the masses and has always been involved in publishing be it the Bible, the Koran, Illustrated Manuscripts , illuminated Gospels. Religious publishing is itself a significant sector with powerhouses such as Zondervan, Thomas Nelson, Tyndale etc. The UK government has itself just spent significant sums to send a James I bible into every UK primary school. The Vatican has now stepped up to the digital opportunity. 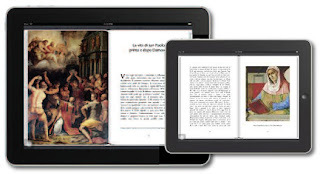 Digital service giant, Aptara, have announced that they are to produce the Vatican’s first eBooks. These will be as an illustrated series of Pope Benedict’s weekly addresses dating back to March, 2006. Available from the Apple Store, the series contains 13 highly illustrated eBooks. Each of the Pope’s weekly addresses focuses on a prominent figure in the Church’s history and is enhanced by portraits, paintings, and photos. If we look at the bestseller lists from Amazon Kindle we may be somewhat confused and wonder if ebooks are going to be free in the future and if so wonder how authors, publishers and everyone is going to make any money from them? Its as if the children are running the chocolate factory. Let’s step back and remember what publishers argued was their logic for bringing in their own price maintenance called ‘agency’. At the time Amazon was selling ebooks at $9.99 and that was said to be both a loss leader and unsustainable model. There was the famous Mexican stand off between Macmillan and Amazon and normal service was resumed under the cloak of agency. Let’s now read the letters submitted to the DOJ, pro and against the agency. They are all about sustainable business, author royalties the market dominance of Amazon etc. Let’s now look at the best seller Kindle lists on Amazon. If we ignore the free column which in itself raises many questions, but in the main is self published, we are left with the ‘paid for’ column which has prices set originally buy publishers. You would expect to see some lost leaders, new authors, new titles but would you expect to see Ken Follett, Peter James, Ricky Gervais, under these lists and selling books at under a £1 and in some cases for just 20p? Nine out of the top twenty best selling Kindle ebooks are a £1 or under and of these , six which are all in the top 13 are a mere 20p. These include four Macmillan authors. Peter James’s ‘Perfect People’ was listed at £7.99 in print, £7.16 in digital and is now offered at 20p, or as Amazon have calculated it, 97% discount! A price which includes VAT. We are not aware who is driving this new wave of ebook summer pricing madness but whoever it is needs to be given a stiff course of social economics. 97% discount is just not worth getting out of bed for and is as good as giving the book away. Those marketers who will be writing their response before reading the rest of this piece will no doubt be using the words promotional, visibility, discoverability, attention grabbing and many more superlatives to justify their insanity. The truth is that if we all did the same the industry would be finished. There is no coming back from zero and once the consumer is conditioned to paying zero then asking them to pay more is a challenge. Publishers are the first to point out the cost of producing digital material and the overheads that have to be born so how will they do this with zero coming in? Authors may earn out and be happy with print royalties today but as the net sales of digital zero start to come home,will they be so happy. Some will point out the joke that these ‘give aways’ come with DRM just to protect the property in case someone steals it. Hello – how many robbers do you think steal worthless property? Publishing has always been a 80/20 game with a minority of titles making the majority of money and sales but with these charts there is a worrying change and although the 20% may still generate the volume they may not make the money. Scarcity raises prices, but on a virtual shelf the only scarcity is in discovery, there are no rare ebooks but just ebooks you can’t find. So we wanted to look at other platforms to find out if the madness was confined to Amazon. We looked at Peter James’s ‘Perfect people’ published in November 2011 in paperback at £7.99 and available at Tesco £3.89 (52% off) WHS 5.99 (25% off) Play.com £5.88, Waterstones £5.19 and Foyles £7.99. We found the hardback at Sainsbury down from £18.99 to £13.99 (30% off). The ebook is a bit harder as it wasn’t on B&N, but it was on Kobo and its affiliate site WHS at £6.47 (19% off). So all a long way from the Amazon kindle price of 0.20p or 97% off. Groupon and other discount voucher stores have grown a healthy business in spot discounting goods and services over the internet but even they can’t give you 97% off. So How Will Digital Growth Impact Physical Decline? We all now accept that digital ebooks will continue to grow at speed, but that it is still highly speculative what the rate of growth and market size will be and that this is likely to vary between genre. We agree with Bloomsbury’s CEO Nigel Newton, when he states that physical books will remain and that we will have a mixed market for in the future. The question that we feel is missing in the digital debate is the impact that digital growth will have on the inevitable shrunken physical supply chain. Some may feel that the digital market is supplemental we would suggest that this will not be so and that the current practice of merely pouring physical content into digital containers will lead to a cannibalisation of physical sales. The publishing supply chain remains finely balanced and somewhat complex. It remains a ‘many to many’ chain trading in many unique products from many sources. The reality is that any cost or inefficiency to one, is born by all within the chain and so the efficiencies that have been driven into the existing physical chain over the last decade could easily unravel as the economies of scale and scope change and numbers become even less predictable. We ask the question of what the potential high level impact may be and what the supply chain may look like if the physical market were to shrink by say 20 to 30%? Many predict the death of the physical bookstore and for many this is probably their fate if they remain wedded to their current model. The front list ‘sale or return’ model has worked well but is in danger of going past its ‘sell by date’ for many. Other retailers are now creaming off the volume on the big sellers and with their pricing clout are making the High Street a no go area for many. The independents have to wake up and sell old, used, bargain and respect that the cosy days of letting the publishers wallpaper their shelves are going and if a 20 to 30% reduction in physical sales were to occur they will have to find alternative revenues. A reduction in revenue can be compensated by higher prices, which is highly unlikely, or by a reduction in cost, which in simple terms would mean a shrinkage in physical square footage – less stores. Waterstones are probably focused on reducing their estate by a significant percentage, getting these right and in doing so retaining their viability, but this option doesn’t exist for independents were the decision may be more binary. A reduction of selling footage on the High Street is not going to be just down to digital but compounded by other retailers such as the supermarkets and the Internet creaming off the best sellers and higher volume sales. Some will argue that the independents and High Street is doomed and so what. But as the percentage of the physical sales grows across a handful of channels and the overall volume of physical sales reduces, this has to impact and question the distribution and efficiency of the supporting supply chain. Today many will look to compensate any home sales reduction with exports but there is little to believe that this will not also be effected and the strategy may be more tactical than strategic. There is a clear case for greater physical supply chain consolidation and it is hard to envisage the same number of distribution and wholesale operations. There is the question of returns. 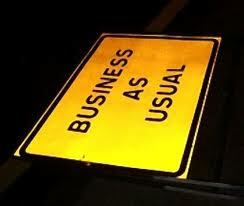 As the physical High Street demand contracts there will be the inevitable increase in consignment errors. The stores will continue to support the low risk returns model which will lead to even more product being shipped around the country with no revenue being generated. The waste is a cost to everyone and will increase as declining sales make some publication’s sale less predictable. It is fair to assume that you can’t have a significant disruptive impact on one area of the supply chain without the effects also impacting all other areas either in the form of the ripple, or domino effect. Publishers have many challenges if the physical market were to shrink by 20 to 30%. It’s true that they will still have digital revenues to compensate and to do so at probably better margin and positive impact on their bottomline, but what will this mean to their organisation, processes, and cost structure? It is also true that different publishers will be impacted differently according to their sector coverage and mix of titles, but a 20 to 30% reduction in Physical sales will impact all. Like any army one has to adapt your resources to fit the battle you are engaged in. The question now is what the organisational impact of not just digital but a contracting physical market will be on publishers? Rights obviously become even more important but the onus changes with resources need to be deployed to discover and deal with digital infringement, a growing importance of permissions and the obvious greater need to capture, manage and access all rights detail more efficiently. Marketing and Sales faces change. It is less about filling shelves and spread betting and more about engaging directly with the consumer marketplace. A migration from mass to direct marketing even though the product may be physical or digital. The challenge is whether the sale moves direct or remains through third parties? If the physical market shrinks and consolidates then the need for field sales must also reduce. Perhaps we shall see even more collaboration between competitors to share field sales resource, perhaps we shall publishing outsourcing to call centres to up-sell direct basis. Whatever the mix it will be a mix and it will be interesting to see how not only the large but also the small publisher organises this to balance their digital and physical sales. Marketing material also stats to change as the physical market declines and consolidates and at the risk of being pillared by the every standards people, maybe the bibliographic and metadata also changes with the remaining clients still requiring more detailed metadata whilst the digital discovery forces more of content itself with secondary promotional materials to be used to engage with the audience. We could also think about the obvious impact on editorial and production , the author relationship and their royalties, front list, mid list and back list mix and market differences. However, what is clear is that any significant rebalance of the mix between digital and physical markets is going to have an impact on all and we need to think just as much of what this will mean in the physical world as we do in the digital world. Unfortunately we somehow doubt that there will be an explosion of publishing conferences on the mixed economy and managing the physical offer in a digital world …. The one thing that is certain is that the current way in which we manage copyright is going to have to change. Will it this be for the better or worse is hard to say as many vested interests lobby and covert those who they think will make the difference and the levels of media noise in some quarters grows and some may say may be more about the money than the amicable resolution of the issues. 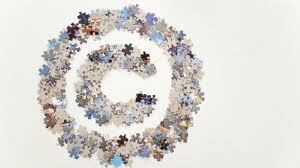 Copyright is getting more complex in the global, online digital world and all parties are finding it difficult to find solutions to the issues that meet with everyone’s approval. 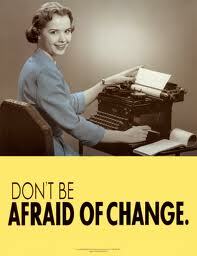 In fact who decides what and has the power to make change is a challenge in itself. It seems an internet age since Google started its audacious bid to ‘land grab’ orphan works and although the story is still ongoing the focus has been somewhat realigned yet again. One would have thought the exercise would have sharpened the industry focus into some of what was needed , but maybe the same interests that threatened to rip it apart under the GBS (Google Book Settlement) have merely moved on to a different perspective. Five recent and separate stories show that we may be all wanting change but in joining the dots we may all see a different picture. First, there is the current petition to restore US copyright to 28 years. This petition to the White House may appear doomed to fail, but is not without wider support for a reduction in the current copyright period. The US acting unilaterally on such a move would be illogical given the global market and this would itself have impact on others outside the US just as much the GBS would have done. We treat the petition as noise but indicative of the calls for change. Second, we recently spoke on the same platform as the British Library and listened with great interest as they described their new digital legal deposit process which comes into practice early next year. Several offline questions later we could envisage many cracks which appear to have been papered over and there appeared to be some fundamental oversights or business processes one would have expected to have been sorted by now. However, when asked why not use it to create a digital copyright repository for UK works, it was clear that this was out of scope, out of cash and out of imagination. We thought what an opportunity lost. There also appeared to be assumptions voiced on the adoption of the standard works identifier which are far from reality. Third is the recent Hargreaves report in the UK which covers a wide remit, recommends much but some may suggest appears to be playing more to the lobbyist that the needs of the market. We certainly applaud the digital exchange registry, but question whether this should be before or after the establishment of a rights registry framework and if the purpose is to exchange and sell rights, does it really address establishing rights ownership? Permission, moral and secondary rights are as important in the digital world where the work may be fragmented into many rights elements merely held together under one work. Forth we have the nationalisation or mass digitisation of orphan works which has been recently been made statute in France and enables the National Library to digitise such works within their collection which can then me made available for free access and potentially commercial use. Some would suggest that the French government has a tendency, as with their recent VAT on ebooks, to move first and maybe think of others later. We see more governments following their own nationalisation programmes, driven again by libraries who may have their own vested self interest in mind. Samuelson also want to see Copyright ‘ shorter in duration, more balanced, more comprehensible, and normatively closer to what members of the public think that it means or should mean.’ This says much, but again is open to interpretation, especially the ‘what member of the public think’ , or ‘silent majority’ claim implied. So are we moving forward with common goals and direction? It would appear that the issue is becoming localised with strong lobbying from the vested parties. It may be interesting to reflect that the different sectors that were once joined together by a common format – the book, are different in their relationship to material, its creators and usage and maybe creating a silver bullet for all is not a wise move. Should the growing calls for open access to scholarly and scientific work dictate how all work is copyrighted, its term time and how its accessed? Should the need top determine the role of public libraries in the digital world impact all sectors? Should new and orphans be treated the same? As we increasingly create new forms of works which will include other media and maybe in a different type of short form, should these all be subject to the same rules and expression of rights? Joining up the pieces is one thing seeing the same picture may be another. I thought it was something I had done as I searched for my iGoogle fix of new items and was failing to connect. It must have been down to that Chrome upgrade, or maybe I had forgotten some login but no matter what I had lost the connection. Then I discovered it wasn’t anything I had done or not done, Google had decide to close it down. However the close date is some 18 months away so perhaps it was me! Google has a great policy of experimentation and also a great track record of closing down stuff. Today it’s the turn of five more services, which include better known Google Video and iGoogle. Google Bookmarks Lists, Google Friend Connect, Google Gears, Google Search Timeline, Google Wave, Knol, Renewable Energy Cheaper than Coal, Aardvark, Desktop, Fast Flip, Google Maps API for Flash, Google Pack, Google Web Security, Image Labeler, Notebook, Sidewiki, Subscribed Links,Google Flu Vaccine Finder, Google Related, Google Sync for BlackBerry, mobile web app for Google Talk, One Pass, Patent Search, Picasa for Linux, Picasa Web Albums Uploader for Mac and Picasa Web Albums Plugin for iPhoto, and all Slide products. The smartphone is getting smarter and and as we all migrate to the platform its usage changes significantly such that a recent survey of O2 customers claims users spend twice as much time browsing the web, and also they spend more time checking social networking sites, playing app-based games and listening to music than they do making calls. Checking Emails now follows making calls followed by text messaging, watching TV and films and reading books and taking pictures. The smartphone is becoming the device that now not only connects people but is rapidly becoming even as important as your wallet which it could even replace soon. However it is still an evolving technology and no one can claim that they have found the mobile solution for the future, just the one for today. We are all aware that Blackberry is going out of fashion and running out of puff. It had a good run, created the mobile email world we now all live in, but somehow never moved on. Apple continues to be the design icon and tablet solution to have and despite all the denials, looks to be on the path to converging the iPhone and current tablet with the first step being a smaller tablet later this year. Android is no longer a contender, but the player who is the winning the marketshare and claiming just over 50% share. And then there is Microsoft who promises lots and just delivers confusion. The issue often in the marketplace is fragmentation. This is were the underlying operating system is not uniform across the market and this is exacerbated by devices taking a specific release and developing on it and so potentially restricting their ability to be upward compatible with future releases. Amazon’s adoption of Android is an example of this. However trying to keep all devices, apps all compatible with a rapidly developing OS can be a challenge unless like Apple everything is from the same stable and brings other issues. The company that once again appears to be lost is Microsoft with its mobile OS offer. First there was a company desperate to catch up with the others and with windows 7 to launched their platform to compete. They even got the other lost soul, Nokia, to effectively drop their OS hot-potch of an offer and come on board. Nokia Lumia was heralded as the new benchmark, the new platform, the new dawn. Now Microsoft have dumped Windows 7 and started again with Windows 8. Its not upward compatible and so those who bought the Windows 7 package effectively bought a pup that would always stay as a pup. Windows Phone 8 is a clean break with Windows Phone 7, which only launched in autumn 2010 as a clean break from Windows whatever. Importantly for developers and users it has a completely new kernel and no forward compatibility for apps and built specifically for Windows Phone 8 won't run on 7.8 devices. Microsoft obviously could wait until windows 8 so brought out windows 7, but the question is, how long Microsoft knew that they were effectively selling a dead end road, as its certain that Windows 8 didn’t drop out of the sky overnight! 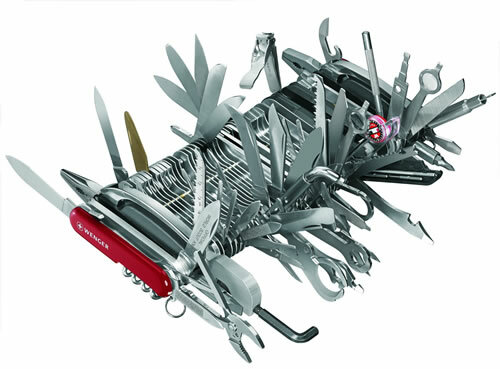 So as we all get more hooked on our smartphones and as they become the true mobile ‘swiss army knife’ we only need to be careful that our attachment to any one device or OS is limited to our contract term and expect to change sides as loyalty will not to always be rewarded. We talk about DRM as if it is the only issue to be addressed in the digital market. However some would suggest the most onerous digital issue that persists today is the fact that digital downloads can’t be resold. Like it or not you have it for life. With music you may be tired of the song, or even the artist, with software you may have moved onto other software, with books you may have simply read the book. In all cases if the product was physical it’s yours to resell, if digital there are no options it’s yours for life – or is it? The first piece of news is from the European Court of Justice this week where they ruled that individuals or companies may resell used software licenses. The case was between UsedSoft a German and US software giant Oracle ruled it permissible to resell of software bought over the internet and downloaded. By allowing the resale used packages with often legally obtained license keys a new owner is able to download the latest version of a given program directly from a company's Internet site and obtain all new updates and patches in the process. The European court ruled that the so-called principle of exhaustion applied whenever software was originally sold to a customer for an unlimited time span and effectively prevented the producer of the software the right to prevent the resale of that software. The court did state that whoever resold pieces of original software and their accompanying licenses must also erase every copy on their own computers in advance and that they are not allowed to keep a copy after resale. The second and more interesting piece comes from ReDigi.com, which is a US start-up launched last year aimed at facilitating the resale of digital music. 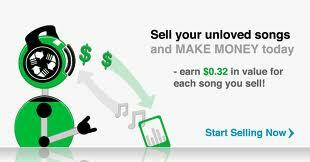 ReDigi lets users load old, unwanted tracks into an online music locker, where others can purchase them for around 70 cents. To ensure it is not flooded with pirate copies, ReDigi's special software forensically analyses the tracks to verify that the files were purchased legally, deletes the songs off the seller's hard-drive, as well as any other devices that sync with it and holds them in a cloud based locker. As Apple’s contract with its users doesn't prohibit customers from reselling iTunes bought files,ReDigi only allows customers to trade tracks bought off iTunes. As if they had not learnt from the Naspter days and the RIAA’s pursuit of individuals the music business appears to be making yet another public relations blunder. You can understand them worrying about declining revenues, the emergence of the Spotify model. But restricting resale only on digital is just going to fuel piracy and drive more ridicule on an industry that is weighed down with bad decisions and PR. If the case rules in favour of ReDigi it will have a significant impact on all digital media download sales and it will be interesting to see if the door is left wide open or caveats are stipulated on the measures that must be in place to permit it. The whole thing could blow open if Apple where to change their contracts. However what is most interesting would be the impact of a used sales market on the migration to subscription and on demand streaming service rentals such as Spotify. The digital remains 100% pristine and never gets worn out and there is no packaging to get lost and the digital file will retain a high residual value that they don’t today. 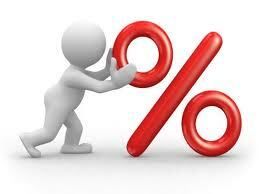 This may even raise the original cost of files and give the owner value in their ownership that they don’t have today. If addressed properly there could be secondary revenues on resale to the creator in the form of royalty. Merely allowing resales without some changes would open up a flood gate of secondary sales with little benefit to the industry. When Guttenberg created the first press in the western world did it change just the accessibility of printed text, or the text itself? The illuminated manuscripts and the scribes who painstakingly created these works of art were no longer the mainstream, but a high end sideshow. When the Statute of Anne reformed publishing, or when Robert Dodsley and others redefined publishing, or when the Victorian age of literacy and mass reading were born, these changes went far deeper and wider that just the consumer and the transaction? It is safe to suggest that these and other seismic shifts were just as much about changing the content itself as changing how it was produced, marketed, sold and read. To date much of the current digital revolution in books has been merely about pouring physical content into digital containers. We can talk about enhanced ebooks, learning object and all sorts of extensions to the text but fundamentally the text itself has stood still. It’s as if we have all assumed that the 256 page, 75,000 word economic model of the print world is perfect for the digital world. Has anybody seriously questioned it or even thought that maybe its not? Sigh. That’s a problem. I keep sending new books to my e-reader, and I don’t know which one I’ll read next. Electronic books have become such an impulse and instinct purchase that I buy them constantly and can’t remember what’s on my e-shelf. When I do look, I often see titles I don’t recognize or don’t remember wanting or buying. I’ll get to some of them. To many this probably was funny throwaway, but it raises an interesting point we all to often take for granted and ignore. We have addressed the simple – producing digital content. We have even recognised the platform need to cover all the device bases. We have dabbled with social interaction and a consumer driven demand. But have we actually forgotten the basics and assumed that consumers just want more of the same, albeit digital or with digital extras? It is as if we are living through the digital shift but are expecting the fundamentals to stay the same? Many, including ourselves, have talked about the shift to subscription and rental on demand models but as an industry we still think in terms of sales, of retail and library worlds and its as if we missed Netflix and, Pandora, Spotify. 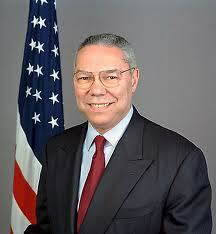 What we now will refer to as ‘Powell’s Dilemma’ is about digital obesity. In our haste to make buying simple and the books affordable have we have forgotten the reader’s ability to consume them? Its as if we can only see LPs and can’t see singles and miss the iTunes moment, can only see full length movies and can’t see YouTube. Some would suggest that Powell’s dilemma is good as long as they continue to buy books and who cares if their virtual shelves become weighed down with the unread. Obesity is not healthy, feeding obesity is unwise and ignore the signs may well speed up to migration to on demand and some challenging commercials. Perhaps it’s time we step back and think through what digital offers us to do things smarter and lead to a healthier and engaging diet for all readers and avoid 'Powell's Dilemma'. Living In A US Centric Digital World? Some would suggest that Barnes and Noble were never awake to the fact that the world didn’t stop at the Eastern seaboard of the US. Maybe they could have forged an alliance with the likes of Waterstones, Folyes or a European retailer and shared their international platform. If they had maybe they would have made a bigger digital penetration with their US centric Nook and they may have even had developed some real consumer awareness outside the US . Instead they choose to stand firmly on US soil, as if they had returned to the Dark Ages and to had declare the world was flat and not round. The mistake has been sufficient to loose them a significant battle in their war against all their other competitors and forced them into a ‘catch up’ position. This week the Newco, or whatever the baby that is conceived from the Microsoft and Nook liaison is to be called, announced a global programme. The Bookseller reported that the Newco now plans to launch digital bookstores in 10 countries within the next 12months and already has distribution agreements in place to facilitate Nook sales this year. A week earlier, its Newco partner Microsoft, announced its tablet which is aimed to compete head to head with Apple’s iPad. However, Microsoft didn’t offer Newco and Nook the platform and like their treatment of Nokia on Windows 8. Some would suggest that this clearly shows that Microsoft will steer their own path, with or without their partners interests always being considered. Marriages of convenience sometimes turn out to be just that and not sustainable over time. Meanwhile now that we have some 9 titles live on Kindle’s KDP platform we thought it was time we put our new digital publications on other platforms. Well Kobo in their own Canadian way appear to say a lot, but don’t make it easy. It is as if every applicant has to be personally vetted and the Canadian process is never quick unless you happen to be Canadian. 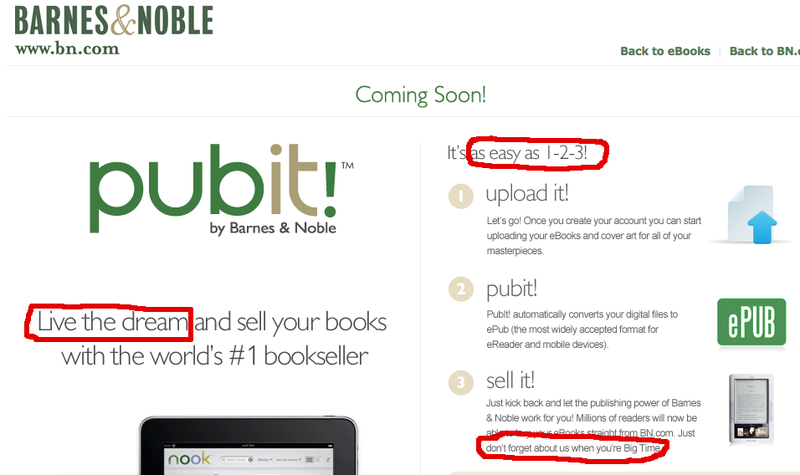 Barnes and Noble’s ‘Pub It’ was more like a how ‘not to Pub It’. It works great in the US but like Barnes and Noble fails miserably when it comes to travelling over water. To demand US bank accounts, US addresses and pay overseas accounts by US Cheques is either just plain stupid or arrogant in the global economy. We hear that we are not alone with UK developers also questioning the US centric stance at a recent UK Nook developer conference. 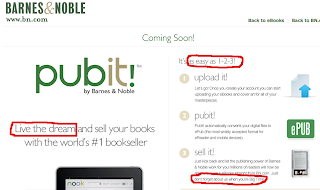 Again Barnes and Noble or Newco are not alone and Kobo also have a somewhat weird affiliate strategy which is biased towards effectively handing over the affiliates customers back to themselves if they don’t maintain their sales. It’s as if the WHS deal was done with little thought on how to accommodate others at a later stage. It is also frustrating in commenting on this unequal world when we are often bombarded with advice and insights from the industry which only apply to the US experience. People complain that Amazon has too great a stake in the digital market but it hardly surprising given the ineptitude of the competitors to understand and accommodate those who merely wish to self publish as a small publisher or author, or act as an affiliate or developer and happen to be outside of North America. We often assume the future is a linear path and change is never going to be that disruptive and even if it is we have time to adapt. There have been many ‘black swan’ changes introduced by a completely new entrant, the shift to a new model, new technology and even a widespread change in consumer attitude and culture. What drives what may be clear in some cases and in others it appears to just happen. Last night I spent time with an ex senior executive of Kodak and found it fascinating to hear how they failed to read the signs and even attempt to adapt. They basically didn’t believe that the film processing model would change. They had many smart innovators and even introduced much of the digital technology, they certainly had a swath of patents, they experimented with social web libraries. Unfortunately, the core business thought that change would be slower than it was and they just didn’t have the change culture and couldn’t adapt fast enough. Some five years ago they were even investing and developing a huge processing plant in China and my friend was out there helping establish it. Would they have been wiser spending that money in setting up an Instagram photo sharing service? Today we can see many industrial giants who are stumbling. We assume that they will always be there but they often will not. Some may be relatively new such as RIM Blackberry, others older and more diverse such as Sony and others such as the Royal Mail just hanging in there. Rarely does disruptive change right itself without a reactive action and even sometimes the reaction taken can itself can bring down the house of cards. The question within the publishing trade is not so much about the digital change that is now sweeping through the market, but on who the winners and survivours will be. In some cases that is about companies , in others it is about removing, or significantly changing, established links in the value chain. We have seen a significant consolidation in the distribution and consumer facing digital market space with new entrants dominating over traditional players. Will this and the inevitable shrinking of the traditional channel lead to large casualties or will they merely all shrink in a uniform manner? Some would suggest casualties are inevitable as survivours via for economies of scale and scope and the further investment that is required just to remain in the race. We are seeing everybody trying to take on other roles as an extension of their own. Authors are increasingly looking to become self sufficient and that movement itself may not mean that everyone has to self publish, but it does lead to a questioning of that the relationship authors have with others. Do authors still need the same agent relationship when the prize may be not so much in securing the best advance and publishing deal as much as establishing and managing the brand. After all musicians now need a different style of management than they did say 30 years ago. We see printers having to offer more service than a bound book. Some would suggest that they should have been the people who grabbed the digital conversion and composition business by the throat, but like Kodak they all too often thought that there would always be the same demand for their traditional services. They al too often saw themselves in the production and not the content business. Booksellers are wakening up to the reality that it says ‘books’ over the door and not ‘new books only’ and this means a change to what they buy, where they by , how they merchandise their consumer offer and relationship. Sale or return may become a weight around the necks of those who cling to it instead of adapting. Finally, we have the role or roles of the publisher which will differ by sector but will change. We have seen the move from an editorial to a sales driven business, from mass marketing towards direct marketing and much more. The challenge here maybe, in how we introduce uniform practice and processes and tighter control to gain greater cost efficiency, whilst continuing to harness that creativity and individual focus that adds real value. Richard Charkin recently said that publishers need to work and think as start-ups. This may be a hairy prospect for some and will not suit all. What is certain is that everyone needs to get the basics right, constantly understand what is happening, not just around them, but across the total market space and be prepared to experiment and react swiftly to change. The only thing that is certain is that there is no groundhog day and tomorrow will be different from today.